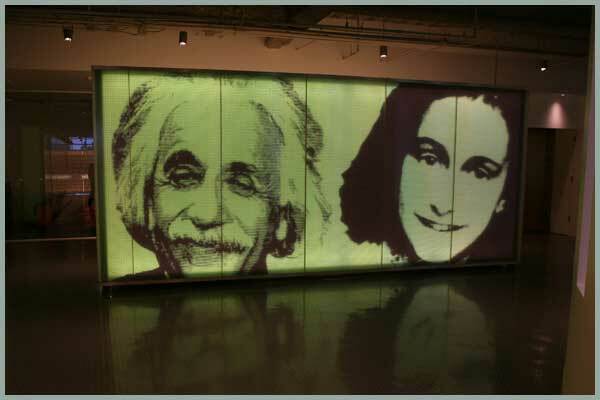 The only museum of its kind in the world, the Museum of Tolerance is an impressive architectural venue distinguished by both its broad civic mission and innovative gathering spaces. The Museum features cutting edge technology, dynamic interactive exhibits, extraordinary presentation theaters and well appointed meeting, reception and conference facilities. The sophisticated Peltz Theater comfortably seats 300 people. 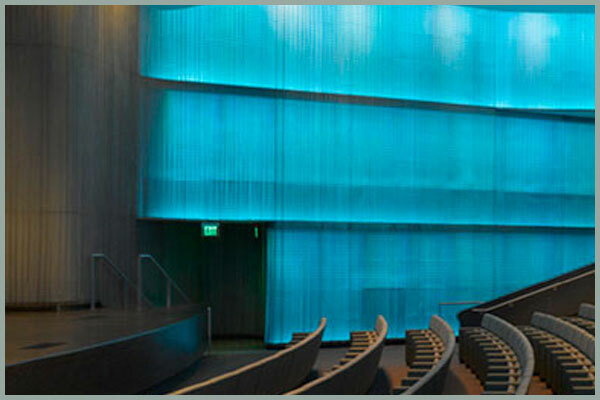 It is the venue of choice in LA for live televised events, film screenings, lectures, staged readings, conferences and debates. The Peltz Theater is equipped for 35mm and DVD projection. 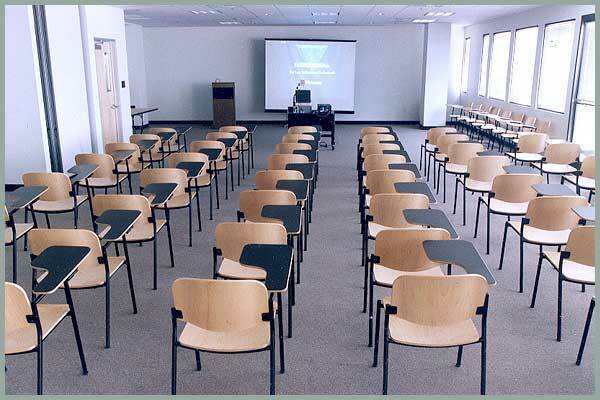 100 seat theater with video-conferencing and powerpoint capability. 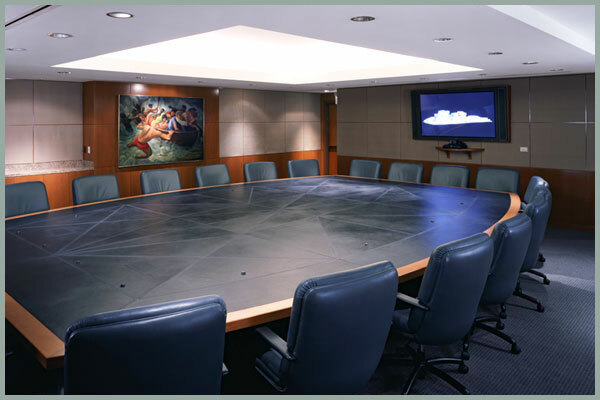 60 seat amphitheater-style conference room with video-conferencing and powerpoint capability. 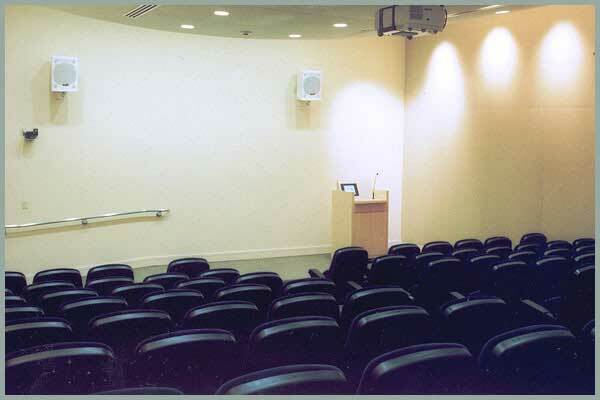 An intimate 35 seat theater located within the main exhibit area, equipped with 35mm projection as well as VCR, DVD player, and LCD projector. 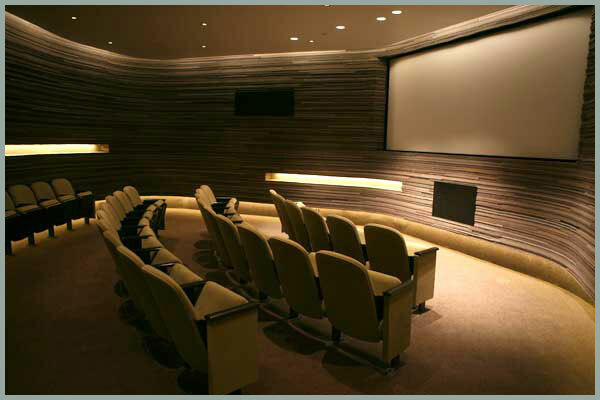 An inner sanctum for screenings and special presentations. 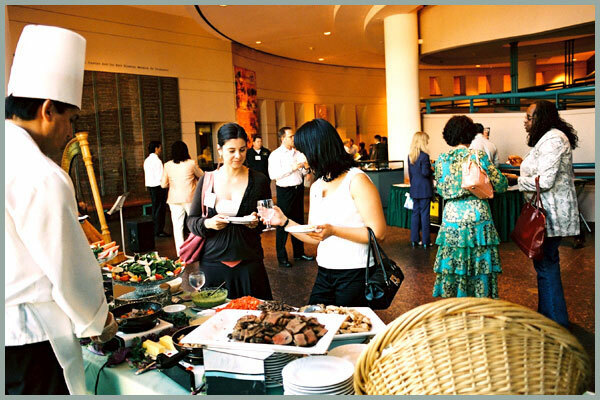 The striking 40-ft high Atrium, located near the Peltz Theater, provides an elegant setting for large or small receptions, or seated dinners. 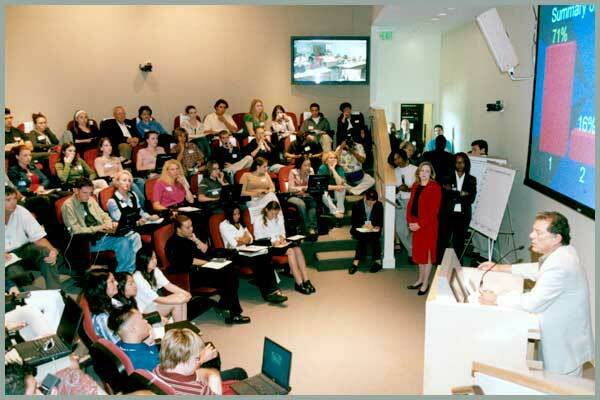 Flexible multi-use spaces can be used as one large classroom, or subdivided. Accommodates from 30 – 110 people. Features internet connection, VHS, DVD Player, LCD Projector, projection screen and balcony access. The stunning 8,500 sq ft. lab has flexible use spaces with moveable media walls and seminar rooms with videoconferencing and a built in automatic response system. Equipped with videoconferencing, plasma screens, and comfortable chairs, these rooms accommodate from 12-25 people.